Mystery and Courage	And the Greeks . 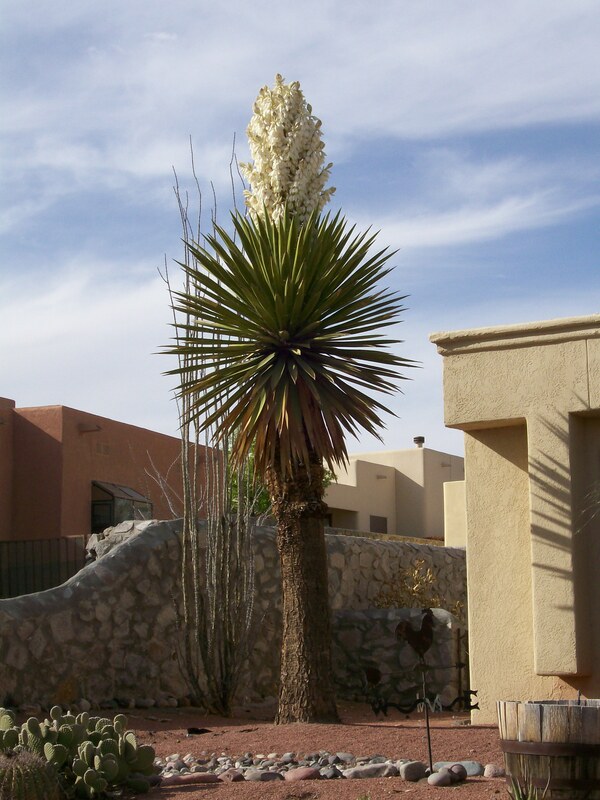 . .
Let this bold blooming yucca in my neighbor’s yard stand for the achievement of the five southwestern women poets as we presented our work in our book Ascent to the public today at our local library. Some of us have been writing for decades, others only recently, but for all of us this is work of our maturity. Three years of critiquing each others’ work had not blurred the difference in the way we see our world. with its airborne sediment. . . .
Air and silt, violent, howled into the night. sitting in the neighbor’s field. . . . .
we share this concrete way. The apple tree was easy . . . I hid in the foliage. and the kids coming home. Ascent is a truly self-published book, available only from the authors. See the Books page and use the Contact page for more information.